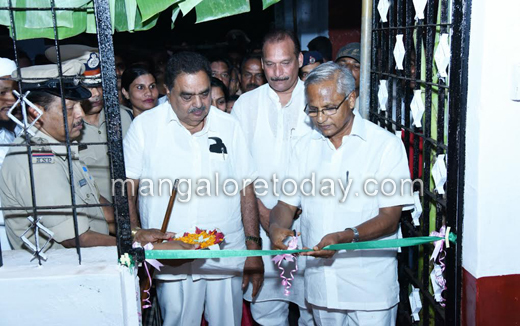 Mangaluru, Oct 14, 2016 : District in charge Minister inaugurated Mangaluru’s 21st Police station near Garodi Temple at Nagori today October 14, Friday. 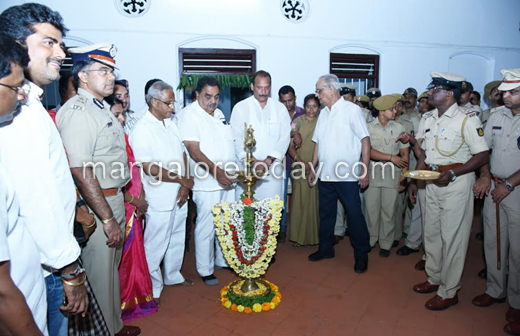 Speaking on the occasion Ramanath Rai said that, the bifurcation of the new police station will be fewer burdens on Mangaluru Rural Police station. This will definitely help smooth function and effective restraining of law and order. 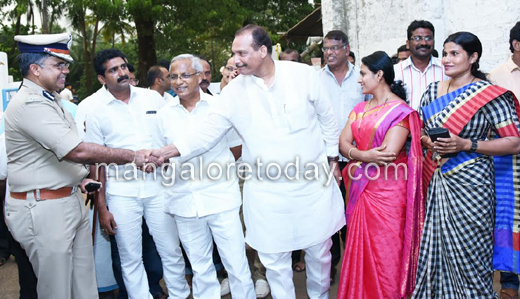 MLA JR Lobo thanked previous home minister KG George for enforcing two police stations other one is traffic police station at Konaje. Additional police personal need to be appointed to the new station. Overall 44 staffs have been alloted for the new station with one Inspector, one Sub Inspector, 10 HC and 21 constables. 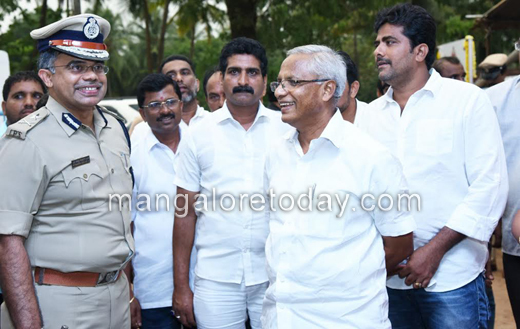 Shankar Patil will serve as Inspector while Ravi Nayak will be serving as Sub Inspector. 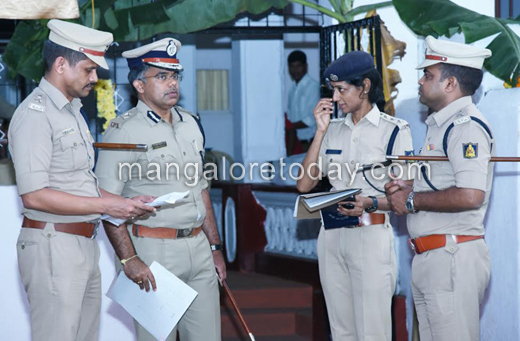 Mangaluru Rural Police Station: Pacchanady, Kudupu, Tiruvailu, Ulaibettu, Mallur, Bondanthila, Neermarga, Adyar and Arkula. 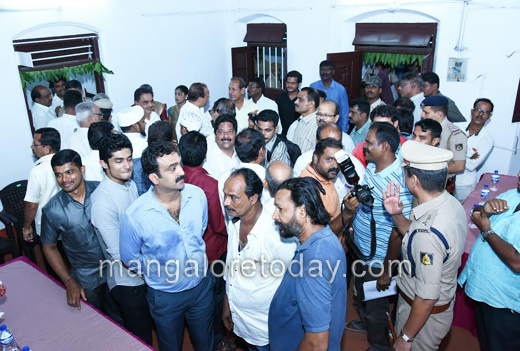 Mangaluru Urban Police Station: Padavu, Alape, Maroli, Kankanady, Jeppinamogaru, Bajal, Kannur and Adamkudru. 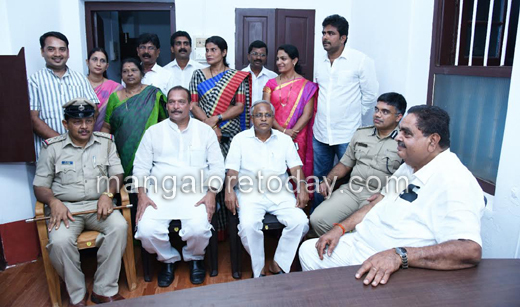 Police Commissioner M Chandrashekar, DCP Shantharaju, Dr Sanjeev Patil, DySP Valentine D Souza, Chief Whip of Legislative Council Ivan D Souza, Corporators Sabitha Misquith, Asha D Silva, TK Sudhir and others were present.